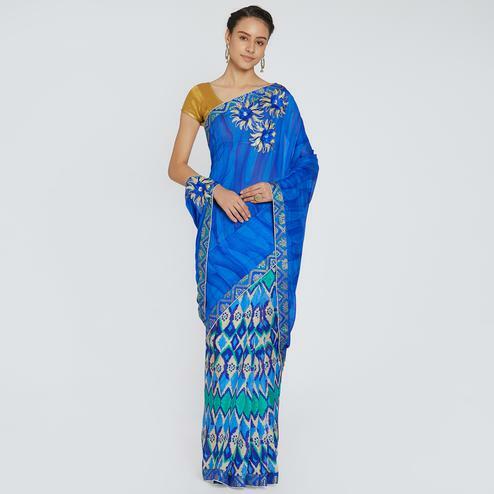 Transform your style with this black colored designer party wear chiffon saree. 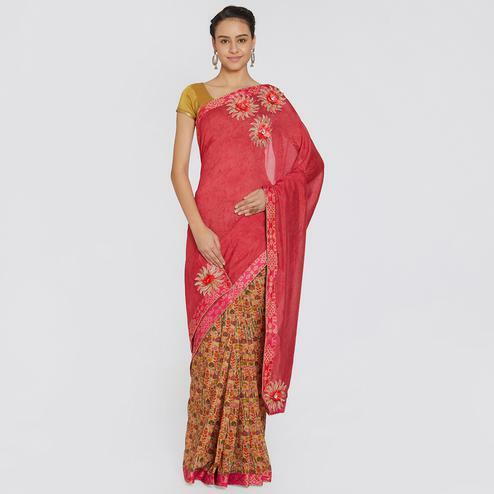 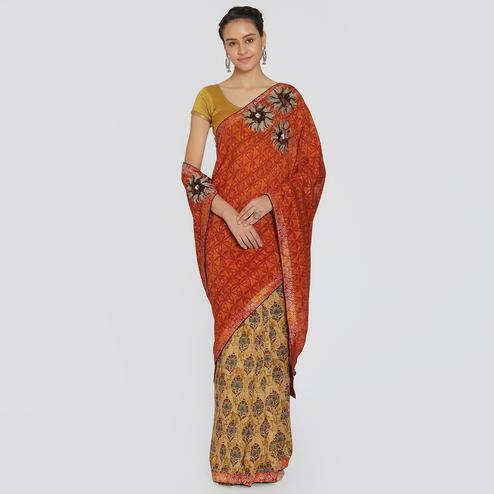 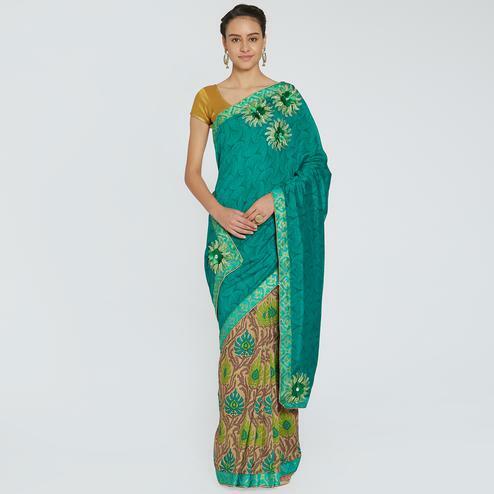 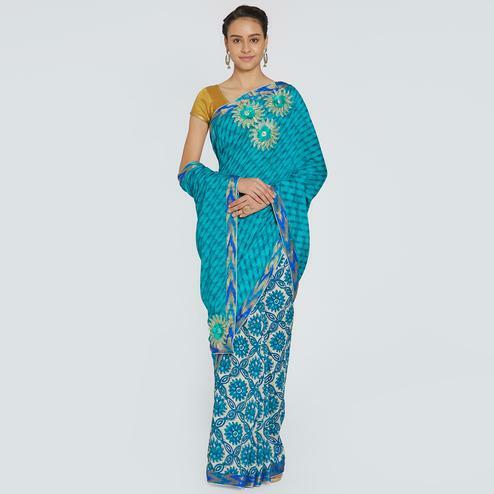 The saree has a pure chiffon base with minimal gold border that is printed, which is adding a hint of sparkle to this saree. 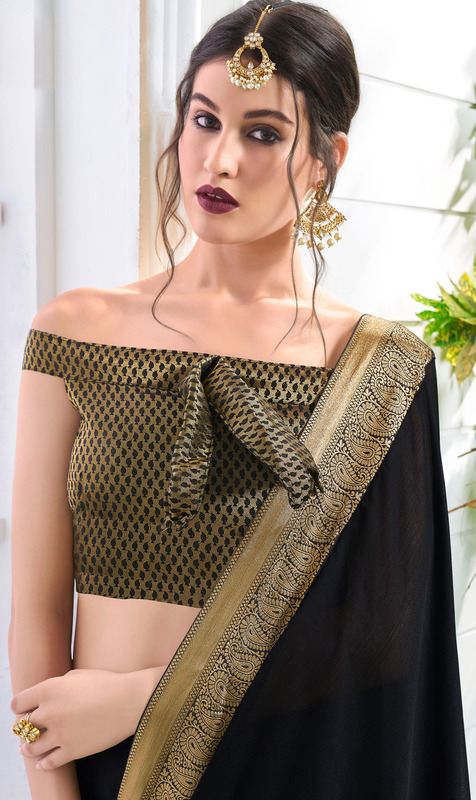 The saree is perfect for those who love dark shades but also want to look traditional at the same time.The saree comes along an un-stitched brocade contrasting blouse to give a solid look to the attire.You can stitch the style according to your choice,but a blouse with fancy shoulder pattern would look great. 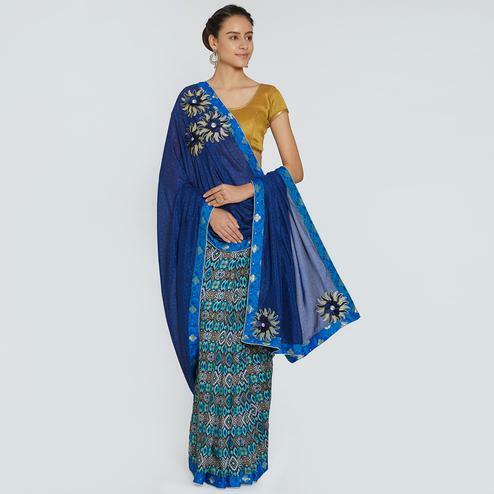 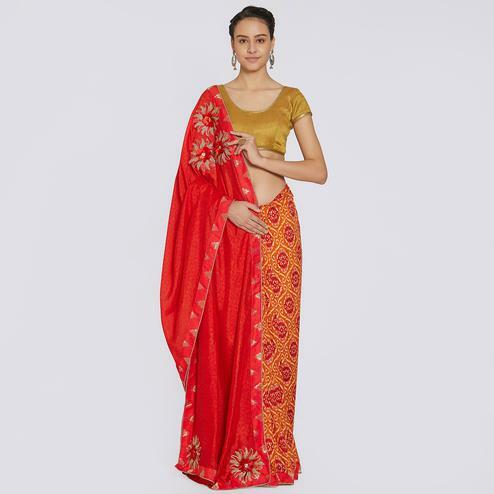 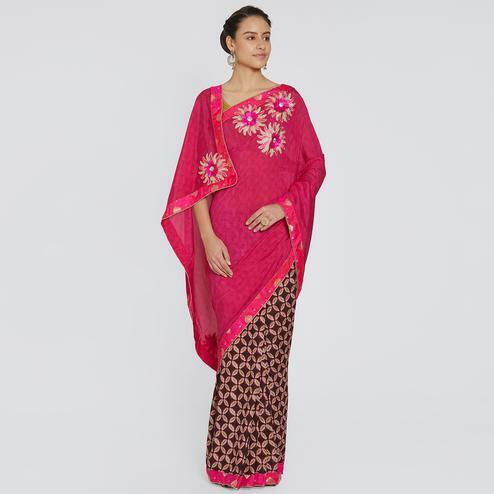 You can wear this at the weddings, receptions,family functions or on festivals. 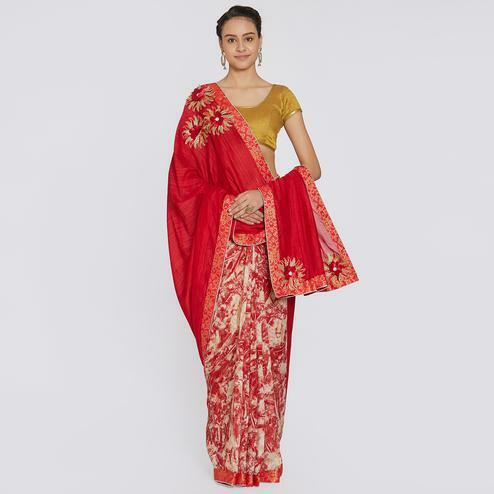 Pair it with beautiful gold jewellery and heels and your look for the event would be complete.